They've been around for a couple of years, but now a giant comparison site - GoCompare - is getting in on the act. 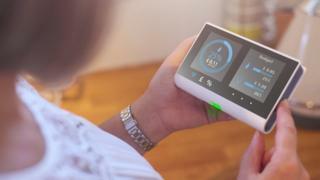 The company claimed its Weflip service will "automatically keep households on cheap energy deals, forever". However, a rival start-up warns: "The key question for anybody doing auto-switching is trust." With auto-switching, consumers give companies their details - name. address, energy usage - and then leave it to them to find the best available tariff when their current deal ends. GoCompare is the first major firm to enter the market: "We're an established company with significant reach and a long history of saving people time and money." It says it can offer deals from across the market, while smaller rivals offer a percentage of the market - effectively only those suppliers that pay commission. Henry de Zoete is co-founder of Look After My Bills, which launched in January and won a record Dragons' Den deal in August. He said: "The key question for anybody doing auto-switching is trust. Price comparison sites have a chequered past to say the least when it comes to doing the right thing." A GoCompare spokesman said it had "saved people in the UK billions of pounds on essential outgoings since it launched in 2006, and has never charged consumers a penny to use its services. "Weflip isn't a comparison website, it's an automatic switching service for energy that doesn't charge consumers either, making it as simple and cost-effective as possible for people to find and stay on better energy deals." Mr Field said: "There is an army of loyal consumers in Britain who, for one reason or another, simply do not have the time or resources to shop around for the cheapest deals. "Any moves to address this injustice by helping those hard-up households who have long been paying too much for their gas and electricity, are to be welcomed." For those who simply want the cheapest deal and haven't time to find it themselves, auto-switching appears to be a perfect answer. It's a service that is likely to spread to other areas of personal finance. Look After My Bills said it is planning to add broadband in a matter of months, while GoCompare's move into energy is likely to be the first sector of many if that proves successful. Andrew Hagger, personal finance analyst from Moneycomms.co.uk said: ""People are quite reluctant to switch without doing their own in-depth research and changing brands is rarely an instant or knee-jerk reaction unless their provider has upset them in some way." He predicted that the new services will prove popular with consumers who are time-poor and simply want the cheapest service, "but for others who are more selective and not frequent switchers, this will simply be a step too far".